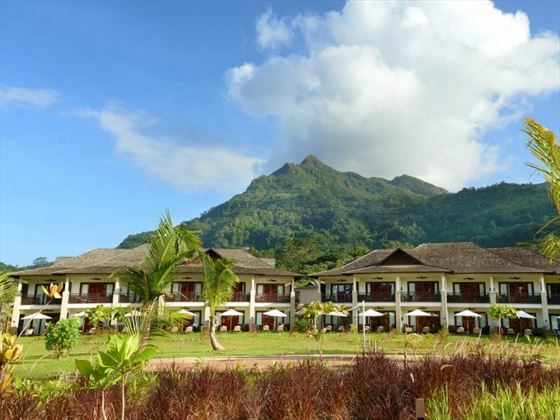 Chic and stylish, The H Resort Beau Vallon Beach is a charming boutique property in the north-west of Mahe. 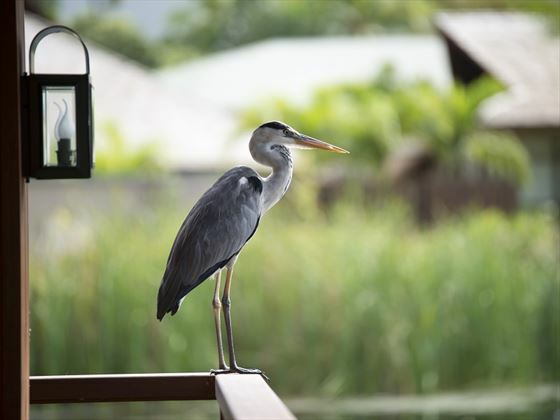 Surrounded by a crescent of fine white sand, this is a beautiful, romantic resort with luxury amenities and pretty décor – including a myriad of colourful mosaics dotted around the property. 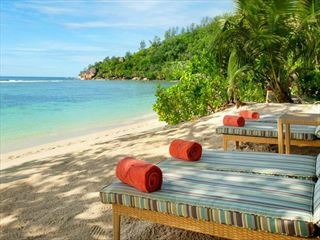 Blending authentic Seychelles heritage with modern facilities, the rooms are spacious and comfortable, featuring a private balcony or terrace complete with sunbeds. 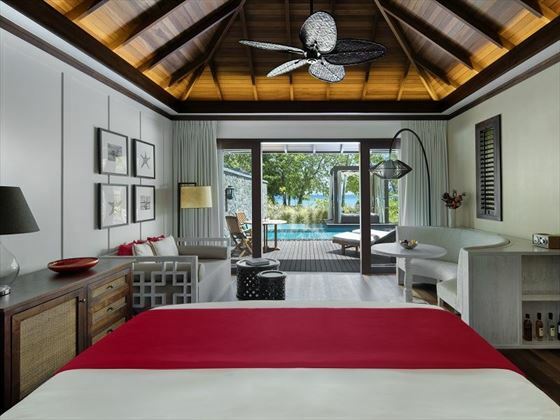 For a true taste of luxury you can upgrade to a Beach Villa which features its own private pool, as well as beautiful decking for relaxing and soaking up the sun. 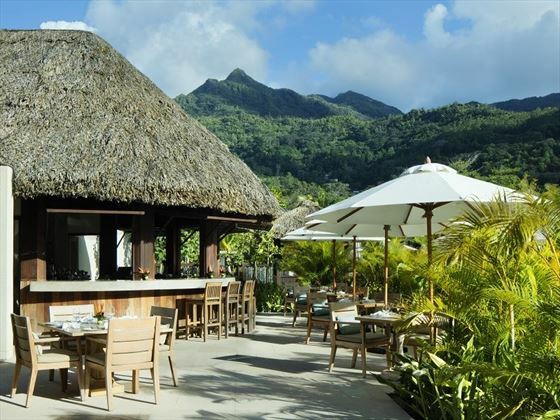 The five restaurants on offer here are truly sumptuous and a feast for all the senses, with a myriad of delicious cuisines, and spectacular décor to match. 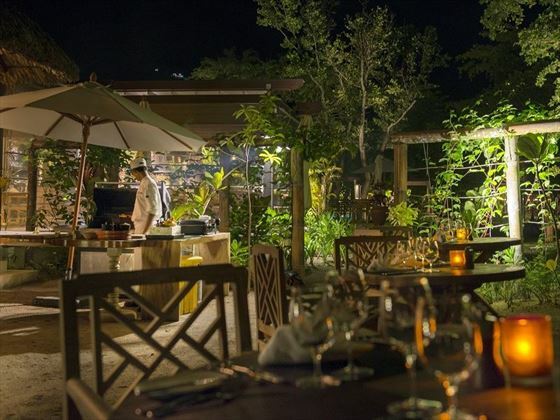 For an extra special evening, be sure to reserve a space at Tete-a-Tete, a gorgeous small restaurant offering a romantic, tailor-made evening under the stars. 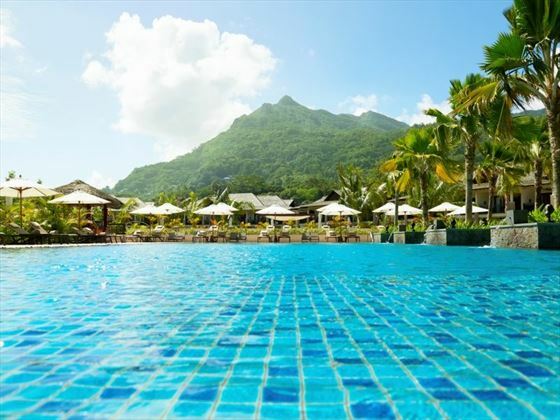 Should you wish to bring the family to this remarkable resort, there’s lots to keep the children entertained as mum and dad indulge in a spa treatment – the Tree Tops kid’s club offers plenty of fun activities, and there’s also a shallow children’s pool close to the beach. Meanwhile, couples will love the soothing Sesel Spa – its eight tranquil treatment rooms named after essential oils surround a picturesque garden, with a few spots to sit and relax to the sounds of the water features and the smell of calming oils. There’s even a yoga pavilion if you fancy getting a bit of Zen. 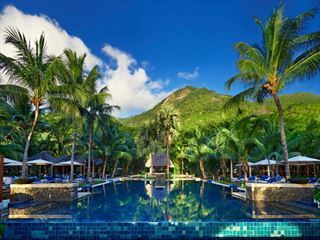 Further reading: The H Resort Beau Vallon Beach is featured in our guide to the top 10 luxury hotels in the Seychelles. 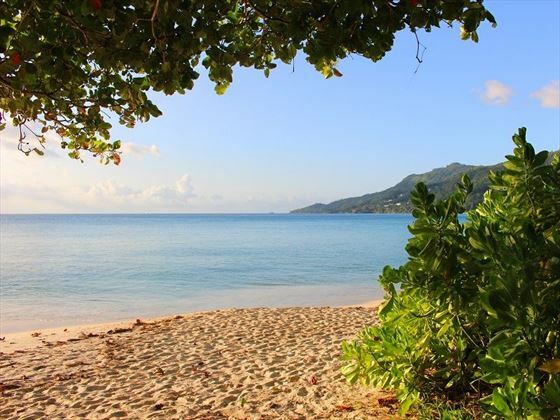 Based in Mahé, the resort is nestled on the coast of the popular Beau Vallon Bay, with the bay’s vibrant restaurants and shops only a 10 minute beach walk away. 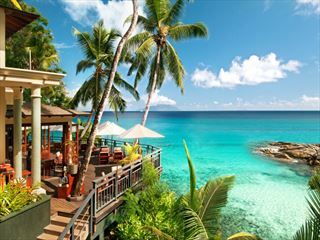 The hotel is also close by to Victoria, the capital of the Seychelles, with its small version of Big Ben and local markets. 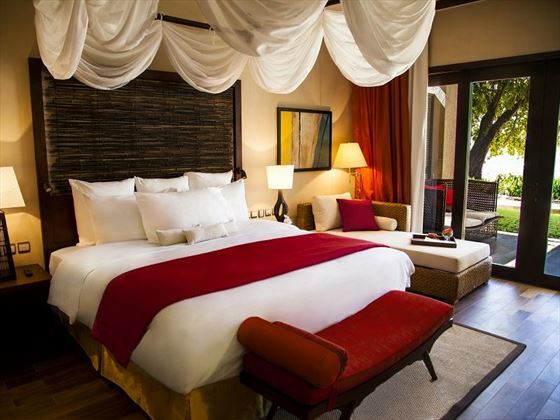 Junior Suite – spacious and stylish, the Junior Suites offer a choice of one king-size bed or twin beds. Sleeps a maximum of two adults and one child. 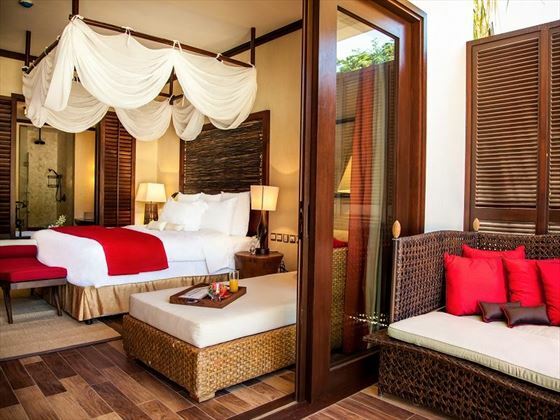 Garden Junior Suite – with the same amenities and trendy decor as before, plus a private garden area and a comfortable outdoor day bed. Sleeps a maximum of two adults and one child. These rooms also interconnect, and are on the ground floor. 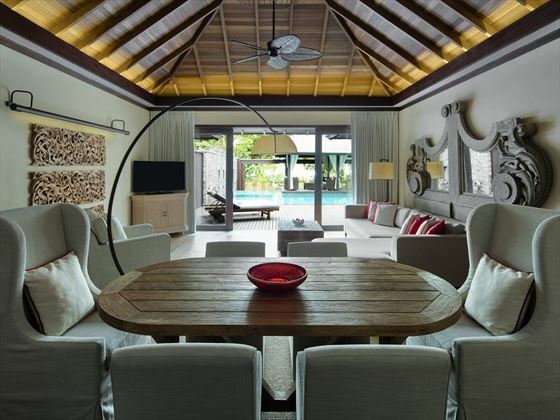 Beach Villa – sitting on the beach, these sleek, open plan villas have their own private plunge pools and a beautiful decking for sunbathing and watching the sunset. Sleeps a maximum of two adults and one child under six. 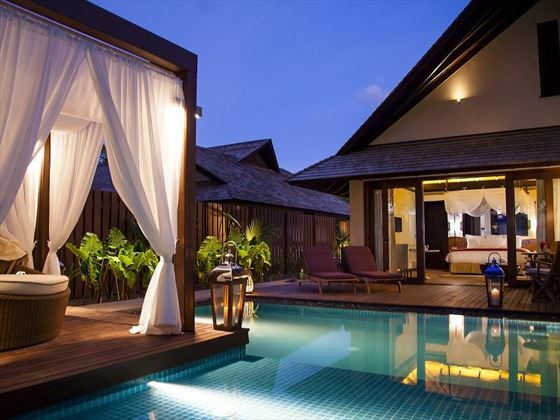 Grand Beach Villa – the two very large and luxurious Grand Beach Villas offer all the facilities of the Beach Villas with the addition of more space, butler service and an outdoor kitchenette. Important Information: Two of the blocks of suites feature a lift, so please request to stay in one of these blocks should you need it. Trader Vic’s – A fantastic international restaurant, home to the famous Mai Tai cocktail and innovative cooking methods – including a Chinese wood-fired oven. 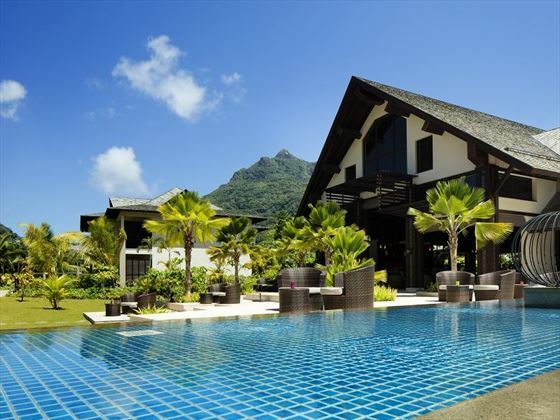 Ripples – A cool poolside bar offering delicious cocktails, soft drinks, and light lunches. Sesel – This calming spa consists of eight treatment rooms, all named after essential oils – including five single rooms, two doubles, and one shower room. Our favourite therapy is the shower treatment, where your body is lathered in soothing rubs and scrubs, before lying under a high-pressure shower to make your skin feel supple and soft. The treatment rooms surround a gorgeous tropical garden, with a few tranquil seating areas, and the roofs are unpolished so you can smell the scent of the wood. The spa is open from 9am to 7pm, with the last treatment at 5pm or 6pm. Stay a minimum of 4 nights and receive up to 40% discount (when a meal plan is booked) when travelling between 1 Nov 18 - 26 Dec 18 and 9 Jan 19 - 26 Dec 19. A copy of a valid Marriage Certificate is required at time of check-in, dated no more than 6 months prior to the arrival date.